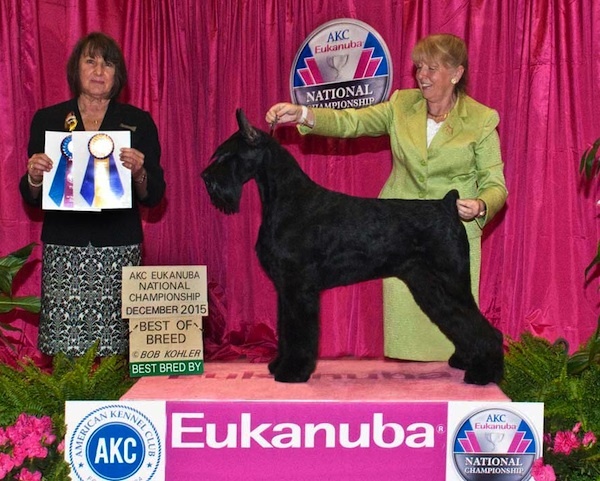 This week we hear from Janine Starink of Aerdenhout Giant Schnauzers of British Columbia, Canada. 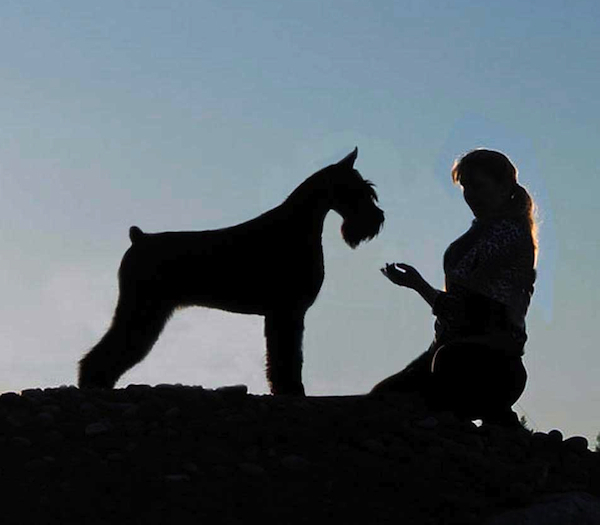 My family had a puppy from the very first litter of Giant Schnauzers ever born in Canada. I was only 1 year old when he came to us, and he lived to just shy of 16, so I grew up with “Snoet.” Snoet was not a show dog, but he was my loyal companion till the day he died. I had no idea then how much he would influence my life! Decades later, my husband Dean and I acquired our own Giant. 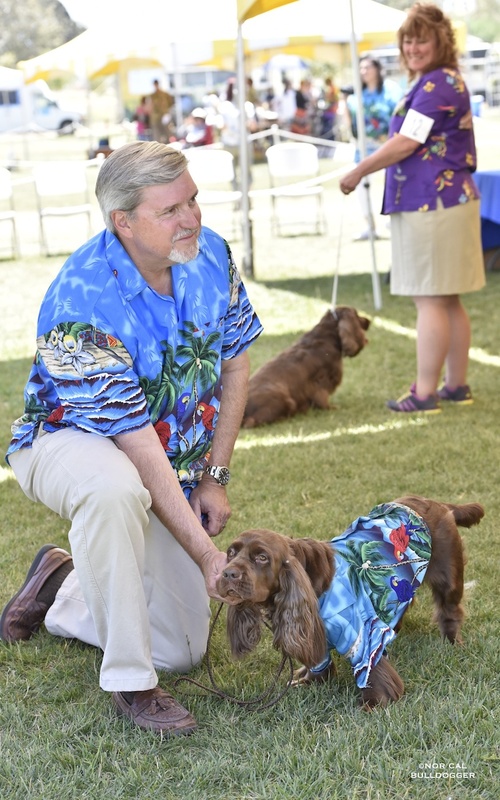 We purchased him from Sylvia Hammarstrom of Skansen Kennel in California. Bough only as pet, Sylvia made me promise to show him to at least his championship. I agreed, and he won … a lot, and I was hooked! The rest, as they say, is history. My first Giant that I got from Sylvia did not like strangers very much. He would allow others to touch him only if I showed him, so I had to. But I loved it and have never stopped handling since. Whenever I feed my dogs a treat, they have to work for it a little … that is about it. I also attend a few handling classes. The Giants I show are very food driven, so there’s no real strategy … just make them work for it. Only at the breed level, when there is tough competition. 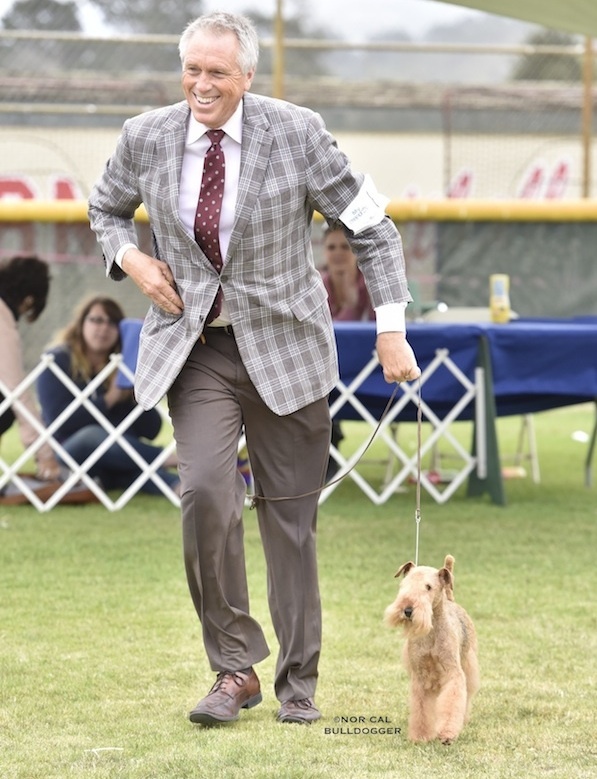 No matter where I am, I remind myself that this is only a dog show. This is often hard to convince myself of when I am at the Garden, Eukanuba, or the breed’s U.S. national. 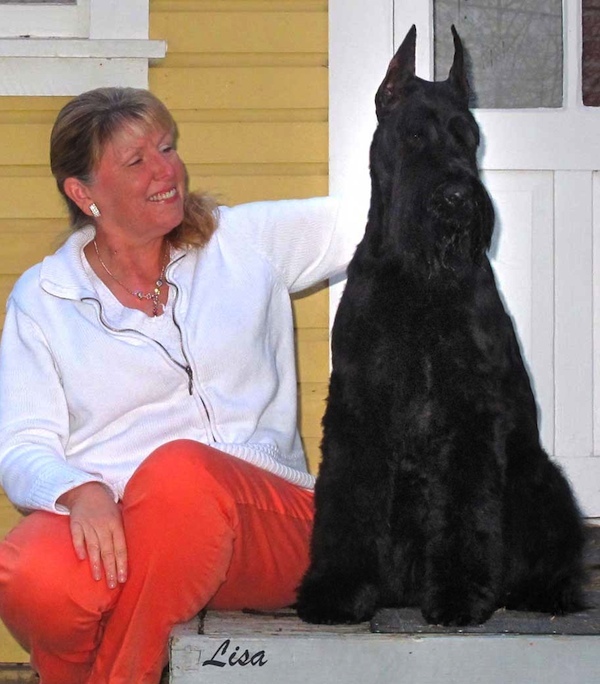 Janine Starink and Giant Schnauzer Abbey, MBIS/MBISS Am. GCh.B/Can. GCh. 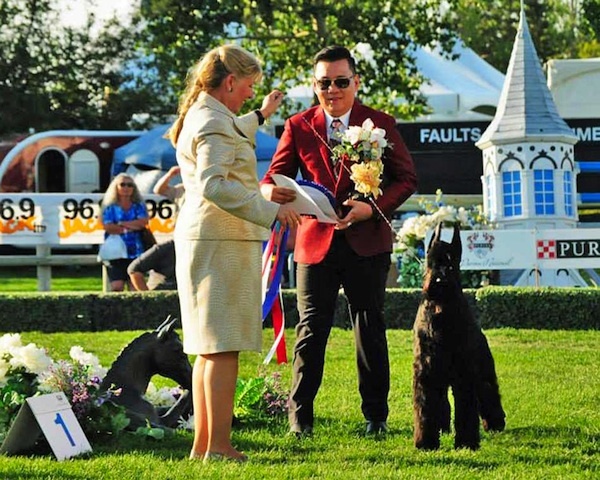 Lowdown Remy’s Girl V Ardenhout, going Best in Show in 2015 at the Alberta Kennel Club show, Canada’s largest dog show. Abbey won this two years in a row. The judge pictured is Mr. Ekarat Sangkunakup. We have a great bond. I know my dog’s moods inside and out. But this can also work against you, as the dog knows you will love him the same even if he does not perform. They are not assured of this when they are with a handler, as the handler has many dogs to show, so sometimes the dogs work harder for a pro. Everything, and never be afraid to ask for advice from them. Many will offer help to you as well—LISTEN to them! And if you lose the breed, do not go home! Watch the group and observe how the pros do it. It will only make you better. Expecting to win right away, and giving up when they don’t. Not watching other breeds getting shown. And please take off the bait bags on your hips—you will never see a pro with one of those things on! Dog-on-dog aggression is the biggest concern in my breed, especially when showing a male. 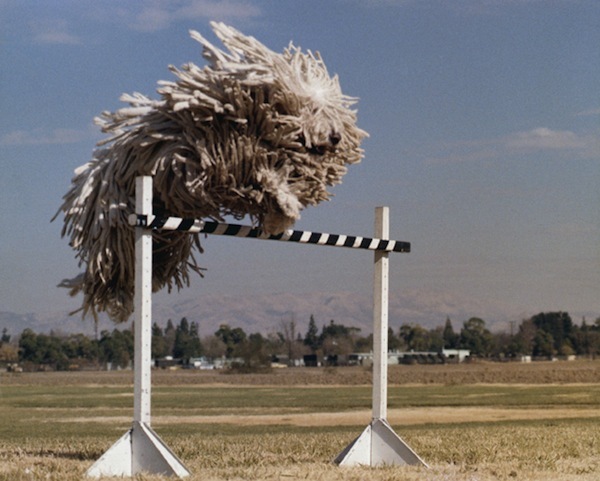 You have to be thinking way ahead of your dog and be able to anticipate what other people are doing. 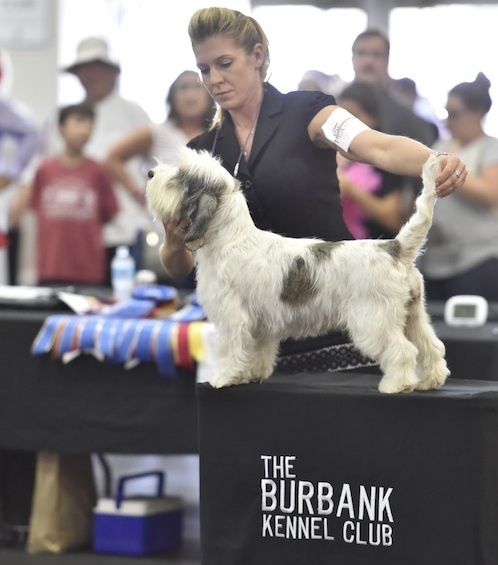 Abbey and Janine winning Best of Breed at the AKC/Eukanuba National Championship in December 2015, under judge Ms. Helene Nietsch. My first, as he did not love other people and really had a hate on for most working dogs. How did I handle it? I learned about canine behavior really fast! It taught me sooo much about dogs, though. No doubt winning the breed at the Westminster show with my favorite male Giant of all time, Solo. What a memory it was to run on the green carpet as thousands of spectators cheered us on, and millions at home on their TVs! 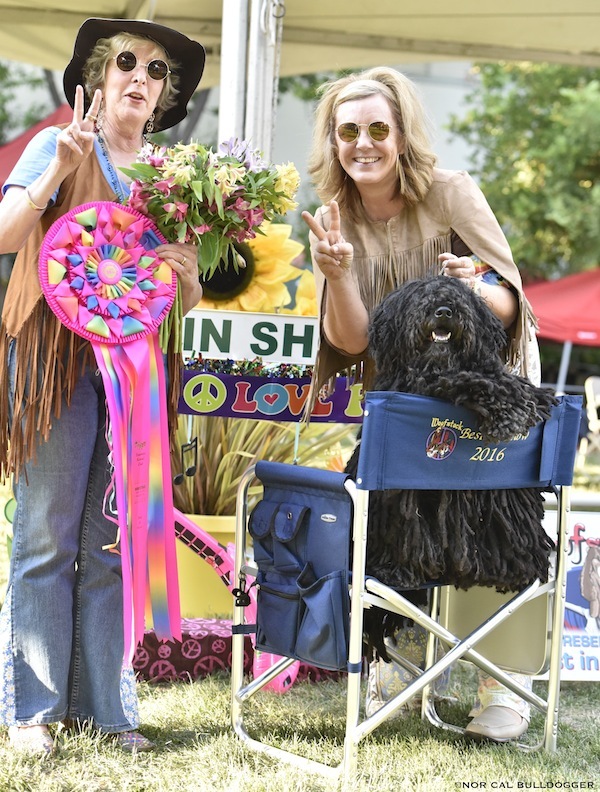 Make sure you have a great dog to show first, and then just do it. And remember it takes years to be a great owner-handler.